'Zindagi Ke Crossroads’ is an upcoming Hindi entertainment tv show which is launching soon on Sony Television channel.The show is hosted by Popular actor Ram Kapoor.The show is produced under the banner of Shabinaa Productions Pvt Ltd.
Agar aap aise dorahe par hote jahaan aapako apne hi parviaar vaalo ke beech chunna padta, toh aap kya phaisala lete? 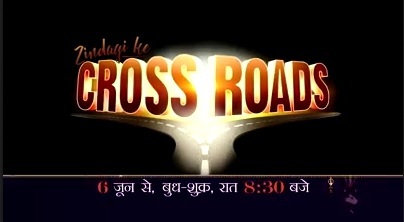 Aa raha hai #ZindagiKeCrossroads 6th june, raat 8:30 baje. Zindagi Ke Crossroads will present a new narrative every episode and the Crossroads faced by the protagonists will be open for discussion to a unique set of studio audiences.